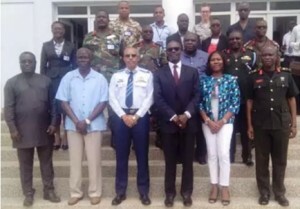 Accra, Oct. 5 – The Kofi Annan International Peacekeeping Training Centre (KAIPTC) and the African Centre for the Study and Research on Terrorism (ACRST), a Centre of Excellence of the African Union Commission (AUC) have signed a memorandum of understanding (MoU) to combat terrorism in Africa. Recognizing the mutual benefits to be gained through a collaborative relationship aimed at promoting and maintaining international peace and security, these Centres of Excellence have entered into this MoU to cooperate in a number of areas related to the study and research on terrorism, counter terrorism and counter violent extremism. Lieutenant Colonel Larry Gbevlo-Lartey (retired), the AU Chairpersons’ Special Representative for Counter Terrorism Cooperation/Director of ACSRT, speaking at the MoU signing ceremony in Accra, said there is the need for member states of the AU to build their counter terrorism structures and also have a counter terrorism strategy to combat terrorism. He urged AU member states to do more to address the issue of terrorism; stating that the best way of addressing terrorism is prevention. He said there is the need for more research in the area of terrorism to find out how the terrorists indoctrinate others into it. 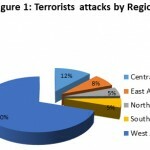 Lt Col Gbevlo-Lartey, who is Ghana’s former National Screrity Coordinator, said it is the mandate of the two institutions to research into terrorism and make their findings available to all member states of the AU. Air Vice Marshal Griffths Santrofi Evans, KAIPTC Commandant, said it is the collective responsibility for all to contribute their quota towards combating terrorism. 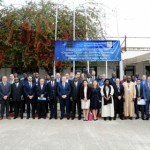 Dr Emmanuel Kwesi Aning, the Director, Faculty of Academic Affairs and Research, KAIPTC, said counter terrorism legislative framework on the African continent was very poor. He said a model law in place would encourage member states of the AU to update their national legislation to counter terrorism. He said under the MoU the partners would develop and maintain a database on all issues relating to terrorism and violent extremism in Africa and the effort and strategies for the prevention and combating of terrorism in the continent. 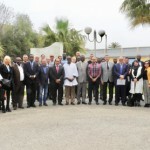 The ACRST, located in Algiers, Algeria is for the Study and Research on Terrorism and Violent Extremism, while the KAIPTC in Accra, Ghana share a common goal of promoting peace and security and therefore provide training and research activities to contribute to global peace and security. The KAIPTC is a Centre of Excellence for research and training in conflict prevention, management and resolution, and integrated Peace Support Operations. 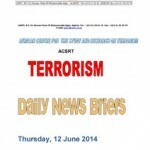 ACSRT operates under the auspices of the Peace and Security Council of the AUC which is responsible for the implementation of regional, continental and international counter-terrorism instruments and coordinating continental efforts in the prevention and combating of terrorism.